It was a day of some month in the year 4240 since Dangun's founding of Gojoseon, or 1907 by the Western calendar. I do not recall if the place was in Seoul, or somewhere abroad, but I saw myself as Hannom seated upon a room-sized flower blooming on a several thousand furlong branch of a Rose of Sharon. Suddenly, the heavens above opened, a reddish light streamed forth, and there appeared in the sky in the form of soft clouds a heavenly being. He wore the traditional Korean hat gat glowing with splendor, was clad in the traditional Korean overcoat durumagi glowing with even more glorious light, and was seated but wielding a sword of lightning in the right hand. He spoke in a thunderous voice. "For humans, fighting is the only way to live. If they win, they survive, but if they lose, they die. That is the Lord's order." This can be read online for free - just click on the title above. 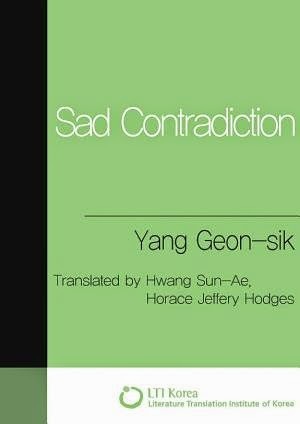 The other ebook (or estory) is Yang Geon-sik's Sad Contradiction. At dawn, after dreaming a deranged and tumultuous dream and tossing and turning even after waking, I finally got up, but with my head as heavy as if it were being pressed down, and I felt uneasy, with no desire to do anything, so I sat in the room just blankly facing my writing table with its scattering of books. A Japanese edition of Dostoevsky's Humiliated and Insulted, a book I had been reading with pleasure these days, was lying on the table, but having no desire to read it at the moment, I began on impulse to smoke Oryukbon and Asahi cigarettes. Releasing the blue smoke was like letting out a great burp that filled the room and seemed to press my head down even more, almost unbearably. As I stood up and looked briefly out the window, I saw a clear sky. Turning my gaze back to the room, I was struck by the portrait hanging on the west wall – a half-length painting of the Russian literary giant Maxim Gorki. I suddenly felt lightheaded and flopped down onto the floor. Again, those of you interested in reading more can click on the title above. Already, I can see changes I would make in some of the phrasing. 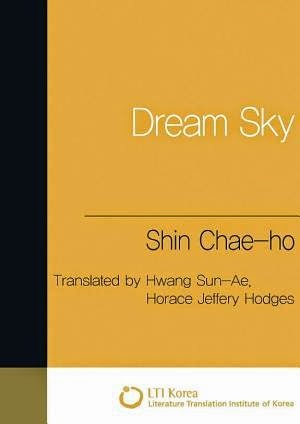 For instance, I'd try not to begin Dream Sky with the word "It" (e.g., "One day in the year 4240 . . ."), and I'd cut the first, very long sentence of Sad Contradiction into two or three sentences (e.g., after "got up" and after "uneasy"). As I noted in my keynote address last June, proofreading a text is a neverending process reminiscent of Zeno's paradoxes . . . I hope so . . .